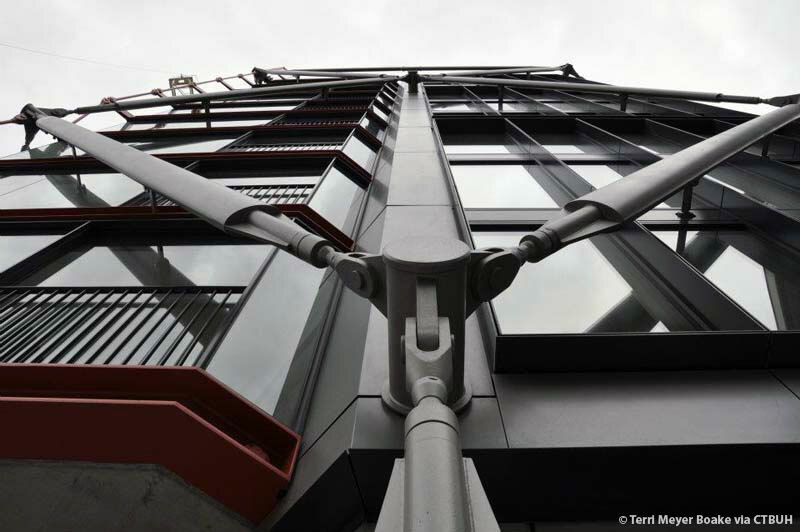 This residential scheme lies in the heart of the Bankside area of London, located close to the River Thames and directly opposite the west entrance to Tate Modern and its new extension. Through careful arrangement of pedestrian pathways, landscaping, and building orientation, a generous public realm is created, which is animated by retail at ground level. 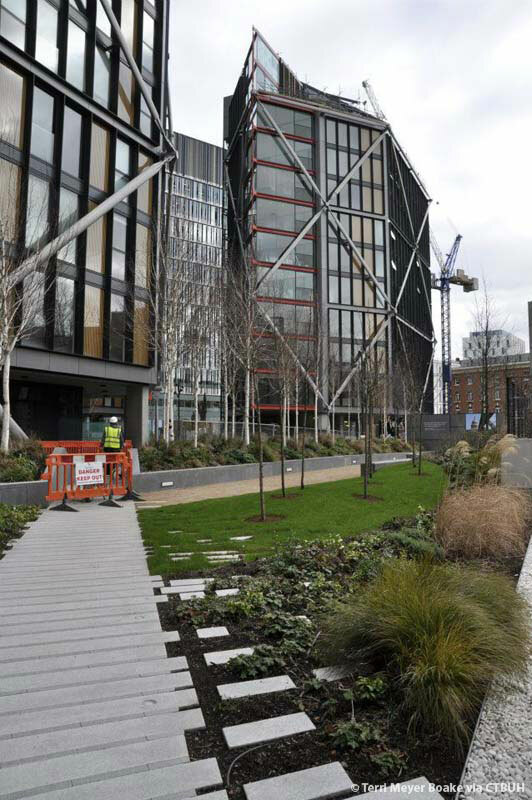 Landscaped groves define two clear public routes through the site, which extend the existing landscape from the riverside gardens outside Tate Modern through to Southwark Street, and will act as a catalyst for creating a lively and vibrant environment throughout the year. The NEO Bankside development occupies a complex, irregular space with particular urban constraints, ranging from the large volume of the museum and its proposed extension, to the adjacent, listed two-story Almshouses. Moving the mass of the buildings away from Southwark Street, as well as from the Almshouses, helps mediate the difference in scale. The four individual buildings step up in height in response to the neighboring properties. The grain of the development encourages permeability and public connectivity through the site, along a route that intuitively seems like the shortest, but also the most pleasant distance between two points. The resulting public realm extends the landscape from Tate Modern’s own microcosm, creating a more consistent physical environment. 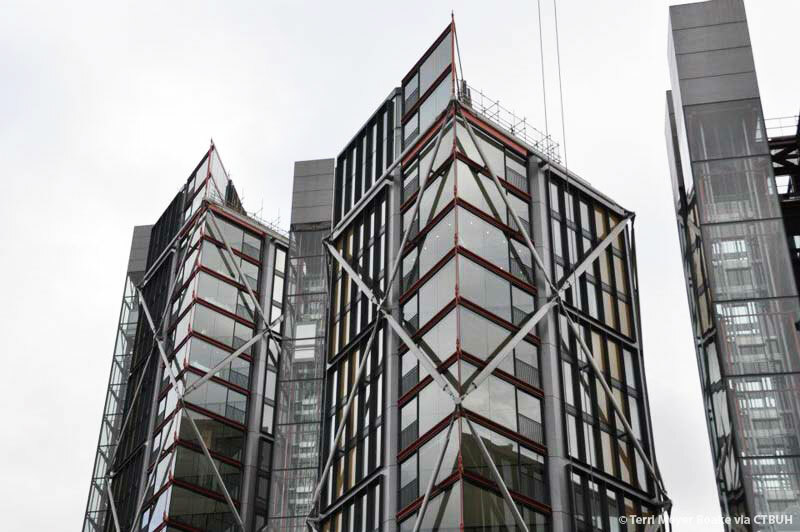 A plot of land which housed the marketing suite and site office during construction will be gifted to Tate Modern, adding to the public space at the entrance. The scheme incorporates a combination of renewable energy sources, which provide 10 percent of the energy requirements for the development. 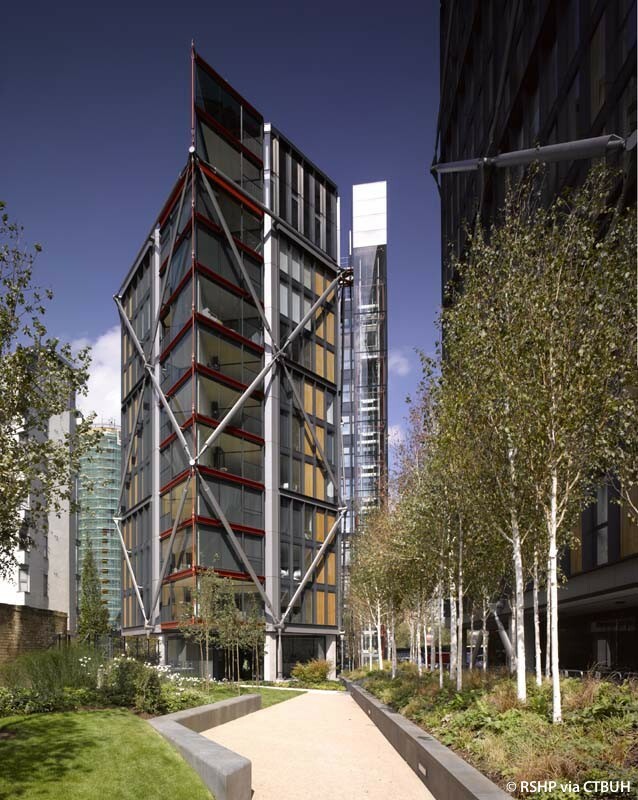 The design of NEO Bankside’s energy/services strategy responds to Part L of the Building Regulations and the requirements of the Mayor of London’s Energy Strategy. The development has achieved an EcoHomes “Good” rating. 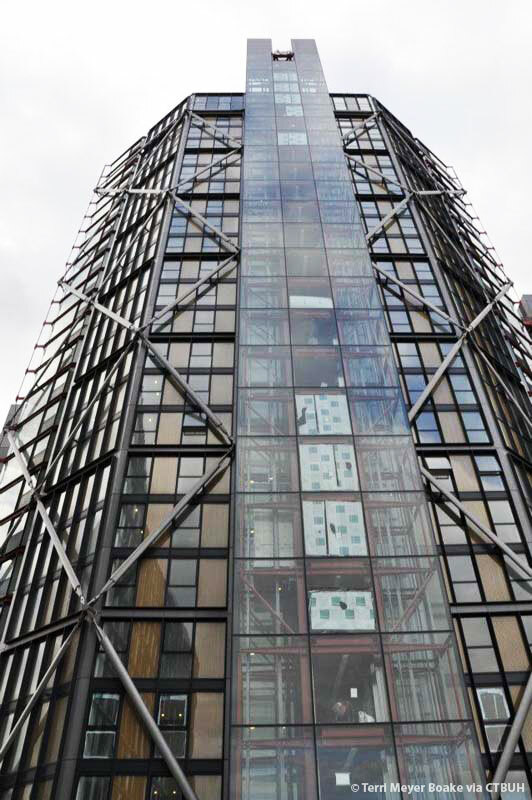 NEO Bankside’s four hexagonal pavilions have been arranged to provide residents with generous accommodation, stunning views and maximum daylight. The steel and glass pavilions take their cues from the immediate context. The overall design hints at the former industrial heritage of the area during the 19th and 20th centuries, responding in a contemporary language which reinterprets the coloration and materials of the local architectural character. The oxide reds of the Winter Gardens echo those of Tate Modern and nearby Blackfriars Bridge, while the exterior’s timber-clad panels and window louvers give the buildings a warm, residential feeling. The design of the pavilions communicates permeability, particularly through the use of extensive full-height glazing and fully-glazed winter gardens and transparent elevator cores. In addition, the placement of the buildings on the site helps to ensure that light is able to reach the central, landscaped gardens throughout the day at different times, despite the scale of the development. A combined Heat & Power (CHP) system – in conjunction with solar water heating and a ground-source energy pile system – are used to provide hot water via heat exchange units in each apartment. 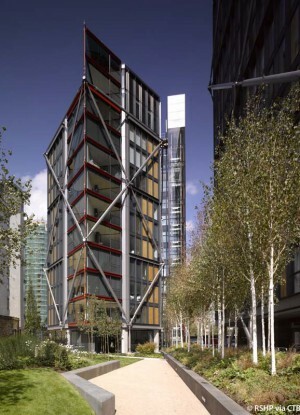 NEO Bankside seeks to create a micro-ecological environment in an established urban setting by introducing an orchard of seasonal fruit trees, bat and sparrow boxes, a large and well-stocked herb garden and collection of active beehives, providing honey for residents. To enhance the surrounding social environment, a restaurant within the development encourages al fresco eating and drinking to create a vibrant, cosmopolitan atmosphere for all to enjoy.